On the ground, it is fighting a grim battle for survival. But for its new found proponents, small is a big time opportunity. The talk here is about the small business that is currently facing unprecedented turbulence. For politicians though, this turbulence has come as a grand opportunity. Small business may be languishing on the ground but suddenly it has become the most potent constituency (read vote bank). They say every crisis brings with it an opportunity. And politicians of all hues would rush to steal any such ‘breakthrough’. So, when demonetization and GST dealt a double blow to the already fledgling small business community, the opposition in Congress suddenly ‘felt’ the pain of the small business community. It accused the government of unleashing license raj on the small traders in name of GST debilitating their ability to stage a recovery. Worried about the charge sticking, a nervous Modi government just announced a new set of measures to smoothen the rough GST blow for the MSME sector. Damage though has already been done. Rahul Gandhi, who for a change made a smart impression at U C Berkley early September, used small business ammunition to fire at Prime Minister Narendra Modi. Since then Gandhi has lost no opportunity to position himself as the champion of the small business community. His piece (wherever he goes and speaks now) has a small business pain story. Rhetoric apart, there is a catch here. The catch is as follows: Small business has traditionally been a BJP vote bank. It has shied away from ever voting for Congress. Now Congress has launched a campaign to take control of this potent vote bank. A look back shows how did the opportunity arise in the first place for Congress? With BJP in power, Modi was expected to be a big votary of business, small and big. In the initial days, the euphoria over digital India and Make in India and Start-up India, somehow gave small business an impression that it was being forced to play second fiddle to big business. This was exploited politically by the opposition with Gandhi coining the now famous “Suit Boot Ki Sarkaar”. As the Prime Minister traded his suits with the now famous Modi jacket, he sought to reinvent himself as the messiah of the poor and the downtrodden. The course correction led to the advent of demonetization. This was a severe short term blow to the micro, small and medium business. Six months later GST happened and the MSME sector gasped for breath. GST though is a historic and bold reform which will integrate the economy but only in the medium and long term. Gandhi seized the low hanging opportunity and now he believes he is the voice of the trader community. The UPA government’s own track record in uplifting the small business mood was pretty modest made worse by plethora of scams caused by distribution of patronage to big business. The then Prime Minister Manmohan Singh set up a MSME Task Force in his office chaired by his Principal Secretary T K A Nair. An exhaustive report was submitted with little or no follow up for execution. The ruling dispensation is now desperate to take back control of what it believes is a community that has been a committed vote bank. 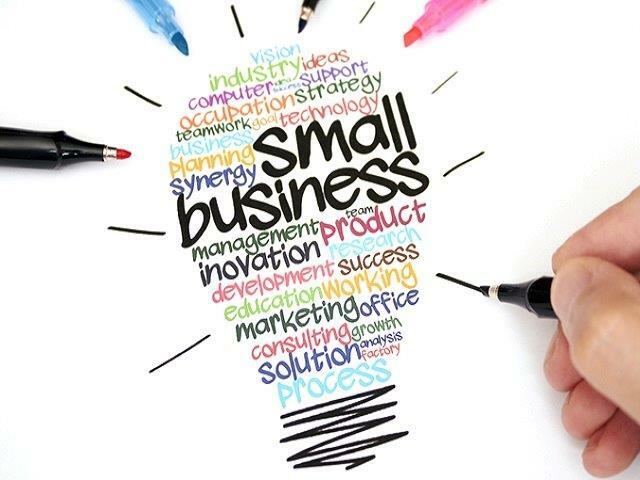 Over the past week, top economic ministers brainstormed to mitigate the falling business sentiment more so for the small business. Small business community actually got the wrong end of the stick from the Modi government early on. First, the MSME ministry was entrusted to a veteran politician in Kalraj Mishra, who always lived under the edge with age being a disadvantage. His rather modest knowledge of the sector made it worse though he put up an effort to connect the dots. As he was given two junior ministers to try retain focus, the Prime Minister himself aggressively pushed for Startup India, a sexier proposition from within the small business space. Policy imperatives apart (demonetization and GST), the MSME sector witnessed another set-back with the latest Cabinet reshuffle witnessing the ministry losing out on one of its junior ministers and Mishra being eased out having breached the 75 age mark. The incumbent minister (Giriraj Singh) with independent charge isn’t a political light weight but for sure is as raw about matters of economy as his predecessor. The sector needs a patient hearing and a mentor alike in the government and the opposition who understands the pain points. It has yet the biggest potential to put the Indian economy, especially manufacturing back on the track. Alas, what it is receiving instead is a lot of sympathy rather than empathy. The obvious overflowing attention isn’t to redeem the pain but to use the beleaguered (there are 5.3 crore MSMEs in India) community for vote bank politics. Thereby hangs a tale (sordid) of our politics of economics.